Wonder Woman takes a bet for charity. She babysits a bunch of fearsome animals, including the most fearsome of all: Tyrannosaurus Rex! We’ll share with you just the dino-centric pages from that story. 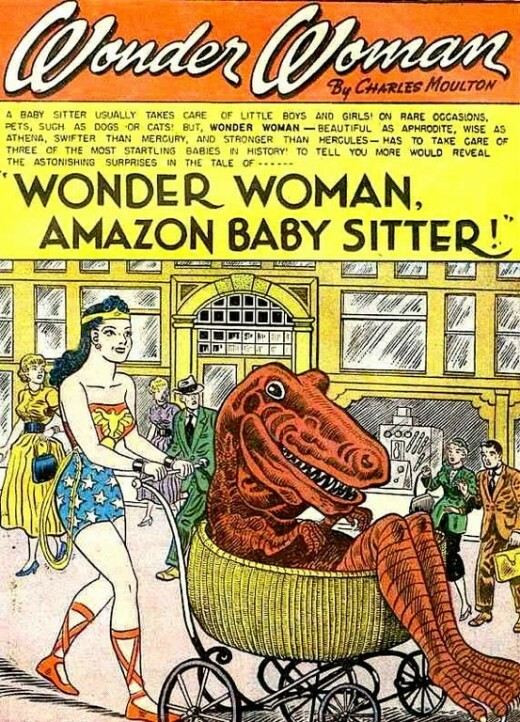 Thanks to Boing Boing for hipping us to this golden age dinosaur comic by Wonder Woman’s creator, Charles Moulton! – From Wonder Woman #90; DC Comics, May 1957.